John Hussman posts a very interesting panel of charts with a major top represented by the green arrow, followed by a rally thrust with the red arrow marking the top of the counter trend rally. However, these rally’s are really sucker rally’s as the markets then go onto much deeper drawdowns as presented on the chart. The million dollar question we are all wondering is whether the highs of a few weeks ago will stand as the top of the 2009 bull market. Given the “all eyes on the Fed” nature of the financial markets here, any predictable component to short-term returns here is likely to be overwhelmed by both random noise and knee-jerk responses to whatever language the Fed chooses in its statement this week. This makes us quite agnostic about near-term market behavior. The next several sessions could contain a significant further short-squeeze or a vertical collapse, and we have very little predictive basis for that distinction. Longer term, we continue to view present market conditions as among the most hostile in history, coupling rich valuations with market internals that remain unfavorable on historically reliable measures. 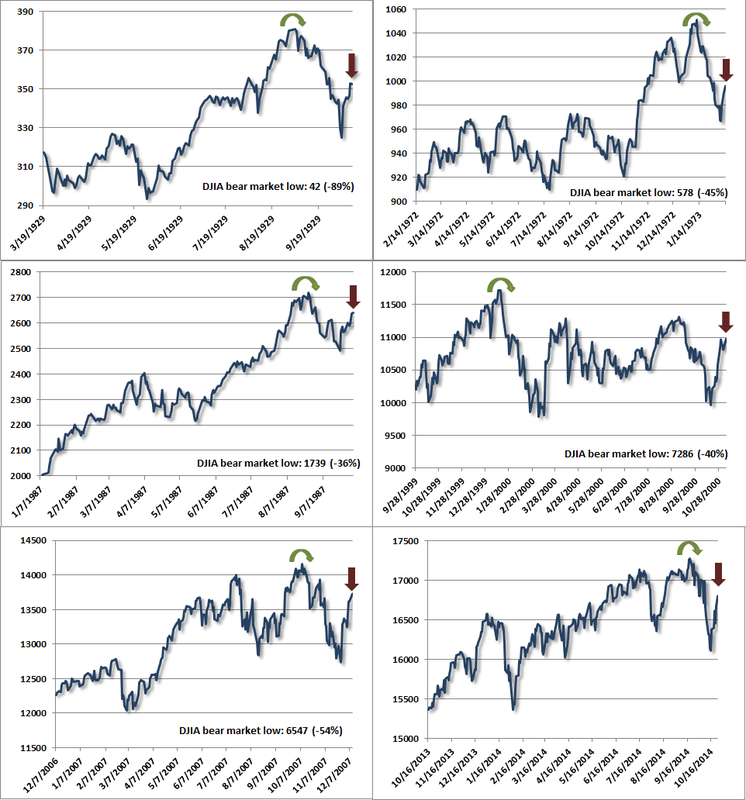 So allow for any sort of action in the near term, but recognize that from a full-cycle perspective, we continue to view a 40-50% market loss as having very reasonable plausibility over the completion of this market cycle.